Meeting the challenges of maintaining a secure and affordable energy supply is more important than ever, especially in the context of the transition to a less carbon intensive energy mix. Unconventional gas technologies such as Coal Bed Methane (CBM) and Underground Coal Gasification (UCG) have the potential to contribute to future energy needs in a cleaner and safer way while they permit access to coal seams which either lay too deep or otherwise too costly to be exploited by conventional mining. Extracting Coal Bed Methane from underground coal seams is of significant importance to a world in need of clean energy supplies. In its pure form methane is the cleanest-burning hydrocarbon and, as such, CBM offers a clean alternative energy source. Underground Coal Gasification is a promising option for the future use of un-worked coal to obtain the energy contained in the fuel for use on the surface, without mining in the usual sense of the term. Both CBM and UCG have the potential to be linked with the carbon capture and sequestration resulting in optimum, safe, responsible and environmentally sound production of unconventional gas. 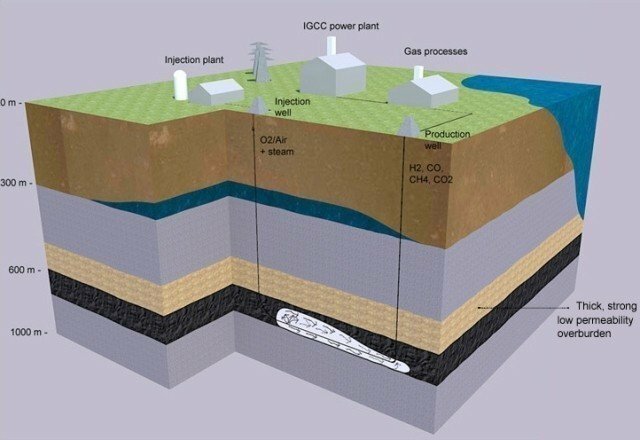 This work package aims to make significant advances beyond “state of the art” and evaluate the potential for deep lying coal seams for the development of UCG and CBM for the optimum production of natural gas which can be fed into a Combined Cycle Gas Turbine (CCGT) power plant or integrated into the national gas pipeline network. Also, the synergies for utilizing the carbon dioxide derived from such processes will be addressed with the aim to provide a source of clean energy with a near zero carbon footprint. 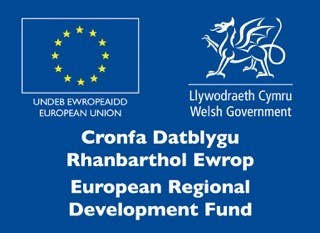 By developing the knowledge and know-how, not only will Wales reap the short term benefits of secure energy supplies and economic growth but will also position itself at the forefront of this emerging worldwide technology within the next decade to come. •	Development and validation of advanced multi-scale and multi-physics computational models to account for the coupled processes and interactions at the coal seams and surrounding near and far-fields experienced during the UCG operation and CBM production processes. The Centre’s Bespoke High Pressure High Temperature Rig simulates the UCG process including each UCG zone individually for a broad range of underground conditions providing gasification or environmental data. The gasification of coal with a combination of gasifying agents at different pressures and temperatures can assess the effect of operation variables providing information on process parameters, such as gas yield, carbon conversion, cold gas efficiency, heating value of the gas, pressure and temperature operation limits together with the re-activities of the coal, and quantify and analyse the resulting contaminants.